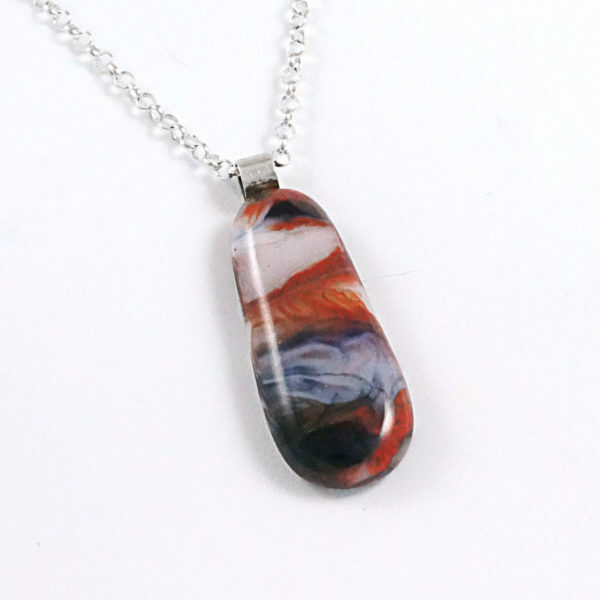 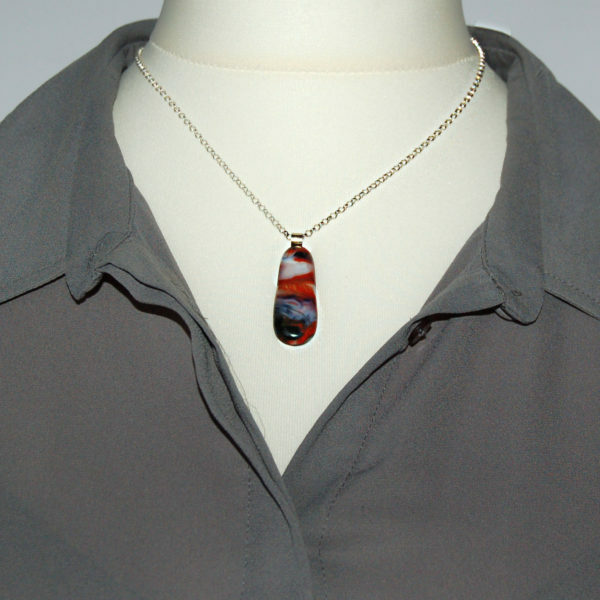 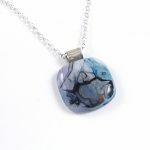 This unique fused glass pendant necklace features an abstract red arrangement. 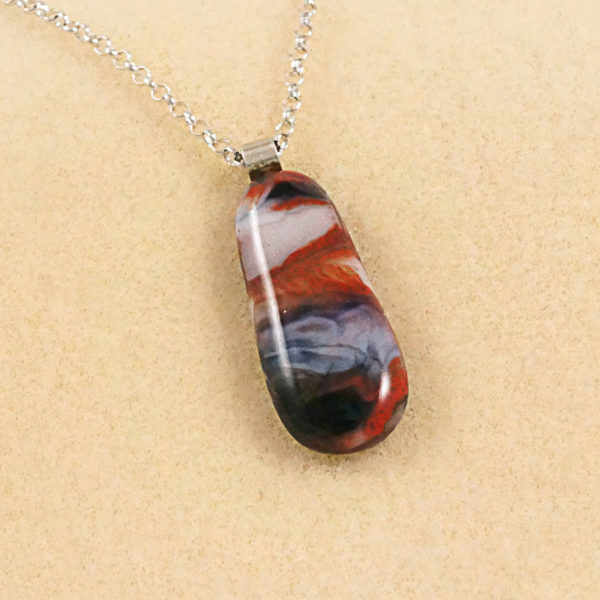 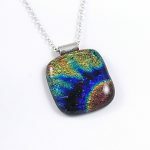 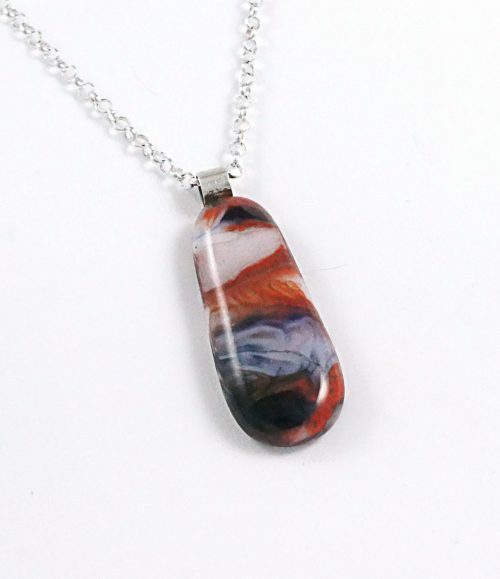 This unique red abstract glass pendant measures 4/8 x 1 5/8 inches (1.5 x 4 cm) including the bail. 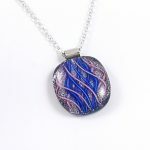 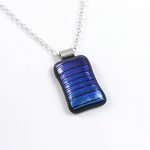 Each of these glass necklaces is suspended from a sterling silver bail, as we believe the bail should last as long as your pendant.